National record holder Tyrese Cooper of MGX is the favorite in any race he enters and the 17-18 men's 200m was no different. Michigan native Khance Meyers made the Florida star work for it, though, and in one of the biggest surprises of the AAU Junior Olympic Games pushed Cooper through the line. Cooper would win his second individual title of the day in 20.63 to Meyers' 20.82. Watch the full race video on FloTrack. 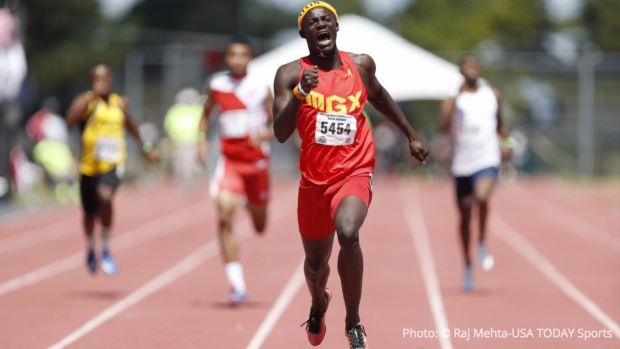 Tyrese Cooper of MGX recaps his 400m win and talks about the pressure to perform to people's expectations. 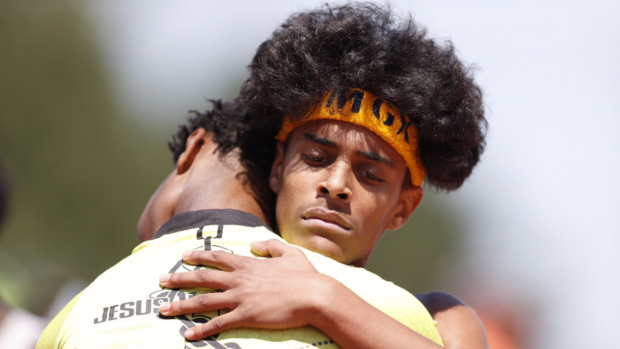 Tyrese Cooper, of Miami, Florida, recaps his 200m battle with Khance Meyers, of Grand Rapids, Michigan, and his excitement for MGX teammate Jamal Walton, who is representing the Cayman Islands at the IAAF World Championships in London this week. Ohio State University signee Anavia Battle, who doubled in the 100m and 200m at the AAU Junior Olympic Games, discusses her win in the 17-18 women's 100m. As great an athlete as two-time AAU Junior Olympic Games champion Cha'iel Johnson is, her famous dad reminds us that she has plenty of time to still be a kid. Maybe Cha'iel and Chad will make a Run Junkie appearance soon!